On 9 May, a group of survivors came to Omarska, near Prijedor in Bosnia, to lay a wreath for those who perished there in 1992. It was Victory Day a Bosnian holiday to mark the defeat of fascism in the World War II and also, for them, an opportunity to commemorate the victims of numerous detention camps from the more recent conflict. They did so last year and in the years before at this place, now an iron ore mine , but once notorious as a place of torture and death of several thousand Bosnians at the hands of Bosnian Serb forces. But guards hired by ArcelorMittal, the largest steel producer in the world and the current owner of the site, did not allow them to place flowers at the gate. They acted in accordance with the wishes of Prijedor’s hard-line Serb mayor Marko Pavic and ArcelorMittal’s new policy, which has suspended a previously expressed commitment to fund a memorial and allow survivors unrestricted access to this site of remembrance. 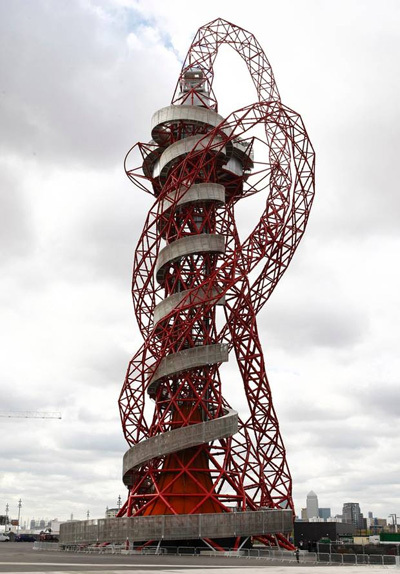 A corporate giant that recently invested 19.2m pounds in London ‘Orbit’ and has emphasised projecting an image of corporate responsibility, ArcelorMittal has shown a different face in a troubled land from which some of its profits come. The images of the emaciated inmates of Omarska broadcast in the summer of 1992 to the world by a group of British journalists shocked the international public, bringing back memories of Nazi concentration camps. The evidence of torture and killings of detainees at Omarska, collected by a UN Commission of Experts, led to the establishment of the first international war crimes court since Nuremberg and Tokyo – the International Criminal Tribunal for the Former Yugoslavia. Some 20 Bosnian Serbs, including guards, commanders of the camp and local political leaders, have been convicted of crimes against humanity committed in Omarska. As peace set in and foreign investors picked through state-owned assets in Bosnia, Mittal Steel decided to purchase the site of the concentration camp , together with a complex of rich ore mines and facilities around Prijedor (including locations of mass graves where the bodies of murdered Omarska inmates were dumped by Serb authorities). It was a logical purchase following the earlier acquisition of the huge steelworks in Zenica in central Bosnia. Fearing a possible backlash and bad publicity, Mittal agreed with camp survivors that certain buildings at the Omarska complex would remain untouched and accessible to survivors and victims’ families. The agreement was followed by a promise that a memorial would be built on the site and financed by Mittal. This was in 2005 and things have changed dramatically since then. Mittal’s promise was made at the height of the hopes that Bosnia was heading in the right direction, towards a reckoning with the legacy of atrocities committed during the nineties. The project of Omarska Memorial, led by a UK-based group “ Soul of Europe ”, contracted by Mittal to facilitate the discussions between Bosniak, Croat and Serb representatives in Prijedor, was hailed internationally as the example of Bosnia finally coming to terms with its ghosts. Not everybody was happy with the proposed memorial, but it seemed to be a breakthrough in a community ravaged by a brutal fratricide. However, shortly after this event, the mayor of Prijedor forcefully rejected the initiative. After a meeting with former UK Ambassador to Bosnia Matthew Rycroft , Mr. Marko Pavic said that a memorial in Omarska would “undermine relations between different ethnic groups in Prijedor”. As a response, Mittal representatives ‘suspended’ the Omarska Memorial project, insisting that the suspension was temporary. The promise of a reckoning in Bosnia quickly evaporated under the onslaught from the prime minister (today president) of Republika Srpska, Milorad Dodik, who embraced the strategy of “separation of peoples” set out by Radovan Karadzic on 12 May 1992. Dividing ethnic communities, deeply scarred by the war, was an effective tactic to weaken Bosnian state institutions and strengthen Dodik’s rule in the entity dominated by the Serbs. He knew that nothing works better to sow resentment and mistrust as denial of heinous crimes, such as those that took place in Omarska. And while Dodik focused his denial on Srebrenica genocide and the siege of Sarajevo, Prijedor’s mayor Pavic, Dodik’s close political ally, turned to Omarska. Contrary to his previous statements acknowledging the deaths in the camp, in October 2009 Pavic made a complete turnaround – he accused former prisoners of Omarska of lying, saying that in 1992 there were no camps in the Prijedor region. In the last three years Pavic completed the circle, arriving at the position first espoused by the translator in the ITN’s unforgettable reportage from Omarska – for Pavic the camp was nothing more than a ‘transit centre’ for refugees. ArcelorMittal followed suit. Not only has the company frozen the development of the memorial it had committed to financing, but in the last months it has gone one step further – it started denying victims access to the site citing ‘safety concerns’. The new policy came into force four weeks ago, when a delegation of former detainees, Serbian peace activists and researchers from Goldsmiths University of London sought to visit the site. An April 12 letter, signed by the director of the mine, told them that if they wanted remembrance, they would have to wait August 6, the day marking the closure of the Omarska camp. This would be the one day of the year when visits would be possible. Eyal Weizman, director of the Goldsmiths Centre for Research Architecture, was shocked by Mittal’s refusal. The reactions ensued from survivors’ groups, media and an online petition was started to demand full access to the site. ArcelorMittal responded with a slick PR effort, crafting a letter that highlights its investment in the community over the years and increasing to five the number of days the camp would be accessible this year. But then, the incident on 9 th of May confirmed that, indeed, a disturbing new policy was in place. The management of ArcelorMittal not only denied access to a delegation of Omarska survivors but its guards did not allow them to lay flowers at the gate of the former camp. Edin Ramulic, a member of the delegation, described the ugly scene in which the Mittal guards threatened and insulted the group. It later transpired that the ArcelorMittal management acted upon an explicit order from mayor Pavic not to allow the visit, for fear of drawing attention to Omarska and associating it with fascism of the World War II, according to Mirsad Duratovic, the head of the ‘Prijedor 92’ Association of Camp Survivors. As I read these news reports in my office in New York, I couldn’t help thinking what would happen if the corporate real estate developers in downtown Manhattan blocked the access to Ground Zero. Would they be able to prevent remembrance by offering feeble excuses about ‘safety concerns’? Of course not. Not in a million years. I n a profound way sites of memory belong to survivors — indeed to all of our tortured humanity — at least as much as they belong to the investment portfolio of the largest steel producer in the world. Debate about the crimes committed in Bosnia and Herzegovina is difficult; narratives of the causes of conflict, nature of crimes and even numbers of victims are still contested. Victims, like those from Omarska camp, are struggling to have their voices heard by political leaders, who, like Mr. Pavic, often engage in outright denial or manipulation of the past for political gains. And, as if the reckoning with our harrowing past was not hard enough, we now have a private corporation denying victims the right to the memory of one of the most painful and notorious crimes committed during the conflict. This is a disturbing development, especially as it comes from a company whose steel “Orbit” towers over London proclaiming a supposed message of corporate responsibility.